Whether we do it with tablets, paper or on our phones; with magazines, picture books or scientific texts; on airplanes, park benches or on our couches, most of us take the simple pleasure of reading for granted. Yet experts estimate that nearly 40 percent of 4th graders in this country do not achieve basic levels of reading proficiency, and while globally the United States performs well, the effects of literacy problems – both reading and learning – can be significant. Low-income families, certain minority groups, and English as a second language learners can be dramatically disadvantaged by literacy issues. Statistics put the penalties of adult illiteracy costing society an estimated $240 billion each year in lost industrial productivity, unrealized tax revenues, welfare, crime, poverty, and other related social problems. It’s a task Reading Is Fundamental (RIF) faces every day and is ready to combat, one book at a time. Through an extensive network of more than 400,000 volunteers, with the highest priority being to reach underserved children from birth to age 8, RIF volunteers spend countless hours in schools, homeless shelters, and community centers distributing books, staging reading motivation activities, and promoting the importance of literacy in their communities. It’s an effort that has a recognizable significance for Barnes & Noble College, as Roth points out. 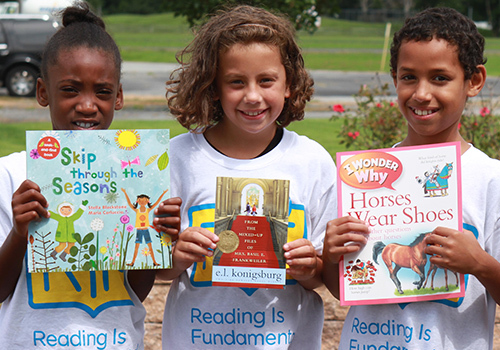 “We proud to support organizations that support literacy – that’s just part of our DNA,” she says. Alongside the basic needs for food and shelter, literacy takes on an even greater importance for industrialized nations. 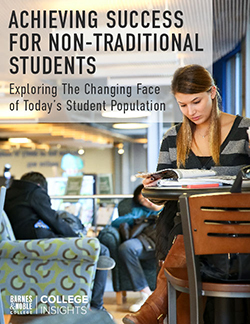 To successfully participate in society, adults must have a basic understanding of reading to compete in the workplace, pay bills, understand legal and financial documents and navigate technology – not to mention the advanced reading comprehension skills required for higher education and the opportunities that come with it. As Roth explains, “Programs like Reading is Fundamental are about valuing education in society,” and through RIF’s work and determination, it could be that more children will have the means to conquer literacy and follow their dreams to achieve their greatest potential.